Do you accept borders on jobs? 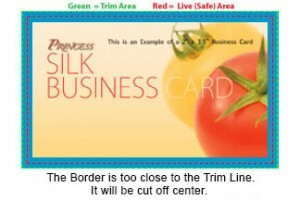 - ColorFX Inc.
We can accept borders on jobs, but if the border is too close to the trim line, it may be cut off-center slightly. We will cut through many sheets at a time, so there is possible slight movement through cutting process. Next What color mode should my files be? Previous What is (4 over 1) or (4 over 4)?